Wedding Industry Experts is a unique website that is uniting the wedding industry by recognizing vendors who excel in their fields in Australia, Canada, Ireland, New Zealand, the United Kingdom and the United States. 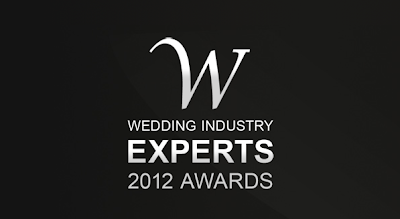 There is no Judging Panel - Instead of appointing an arbitrary panel of judges to pick winners, the Wedding Industry Experts Awards is a true peoples choice Awards. Anyone can vote for the vendors they love. The results will show who is the most popular choice in each category by city, state/province, country and internationally. Over the course of the last week we have seen some of our fellow colleagues in the industry be recognized for their fabulous efforts (We supported their nominations by clicking thru on Facebook or Twitter of COURSE!) Never be so busy side eyeing everyone else's blessings that you can't see YOURS staring you in the face! We believe in CELEBRATING not HATING because there's MORE than enough fabulous to go around! Call it the laws of attraction but today Weddings InStyle was honored with their own nomination in the category “Best Wedding Venue under 150 people”. What we particularly LOVE about this award, is much like the Brides Choice Award that we won in 2011 & 2012 - is the fact that it is 100% driven by people JUST like you who want to honour and express gratitude for the great service they received or are receiving. Thank you from the bottom of our hearts. Your support means everything to us and inspires us to continue to do what we do InStyle! Engagement ring. ✔ Fiancé. ✔ Venue ???? You have found “the one” that you want to spend Happily Ever After with … now what? It’s time to decide what kind of wedding you want. Breakfast or Brunch, Afternoon Tea, Champagne & Cake, Sips & Bites or a dinner reception. Champagne & Cakes is probably the least expensive type of reception, and is what was once the norm for most weddings. Everyone gathering post vows for a bit of cake and a few toasts. If you go this route we suggest that you put on your invitation "Champagne & Cake to follow" so that guests will know there isn't a meal - always best to manage expectations. If you are opting for more of an affair; here are some things to consider when selecting your perfect wedding venue. Transportation: how will people be arriving? How will you get there? 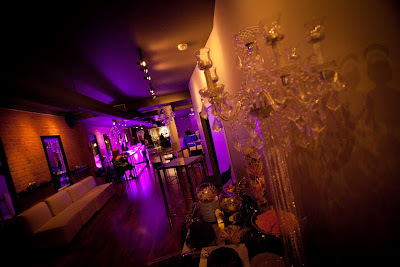 Will you keep your guests waiting and if so what is your plan so to entertain your guests and start the party off right? For out of town guests, are there hotels nearby? What are the refund policies if any? Is there Bride/Groom Room so you can escape if you need to? Do they offer Turn Key Services – They will decorate for you? Is there an on site Wedding Planner & Day of Coordinator? Do you see yourself planning the wedding day of your dreams with this person, as you will be tightly connected until the day after your wedding. What near by locations are there for pictures? Does the venue allow candles? Does your venue have a variety of reputable vendors that they work with and can recommend to you? Are you allowed to bring your own vendors? Does the venue come with a sound system? How is the lighting? A crucial question as no one wants to celebrate in a dark room. Is the room beautiful or do you need to spend extra money covering up the walls? Is there a back up plan in case of rain? How is the sound system? Will everyone be able to hear the ceremony/speeches? Do they offer a variety of Caters? Can they accommodate special meals? Gluten Free, Vegan, Vegetarian? All your favourites like midnight Poutine Bars and Sushi? Can you do your own signature drinks? Are there minimums you need to reach for food/drink? Does the wedding venue allow you to supply your own cake/desserts? Just a few things to consider as you set out on your hunt for the perfect venue. We at Weddings InStyle wish you best of luck with your search, and with all the planning for your upcoming wedding.